A few years ago, I received a call from a mother in my community. Her voice breaking, she asked me if I could help her. Her son, she said, was involved in a bullying episode, and she was wondering if I had any titles I could share of books that might help them through the situation. I launched earnestly into a helpful list of powerful titles, and ended with an expression of my heartfelt empathy for her and her son. There was an awkward silence on the other end of the line, and then the woman said: "I'm not sure if you understood me. It was not that my son is being bullied, it's that he is the bully." 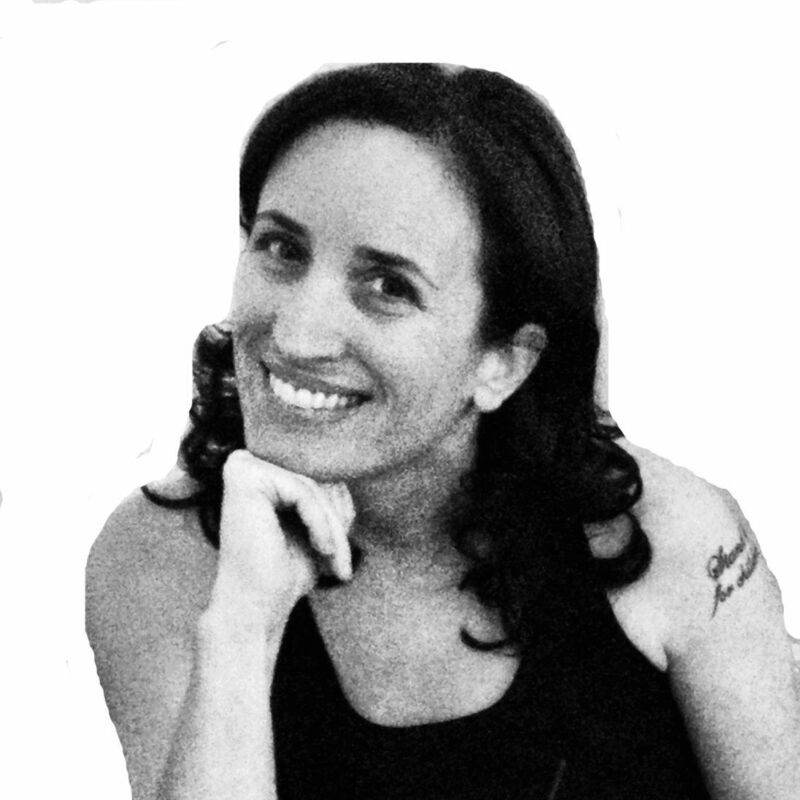 I was momentarily taken aback, for she was right: I did assume he was the victim. But then I thought about it, and realized these titles I'd given her were every bit as important for the bullyer as for the bullied. Exposure to great literature can change everyone. Reading builds resilience and empathy. The act of reading brings the gifts of stories that have the power to change a child's perception, help a child deal with uncomfortable situations, and model different options for being strong in the world. Childhood can be a profoundly lonely experience. Whether it's walking to school wishing for a friend, or sitting by oneself on the bus or dreading the endless minutes in the cafeteria, our children need fortification. Sometimes their own feelings of shame and confusion lead them to want to dominate others. And for the child who is at risk of being bullied, it can be the child who is uniquely kind and open, who hasn't got a mean bone in his body and in that way becomes a victim to others who do. Or it is that child marching to his own drummer, who stands out. Every one of those qualities that might make a child "different" now are so often exactly the qualities that are going to make that child so interesting and special as an adult later. The director Tim Burton said when his baby was born he immediately prayed the kid would grow up to be a high school misfit because he knew that would be a signal of something good to come along later. But that is small consolation for right now. It is therefore one of the many great blessings of literature that stories offer a way to say at the same time: we are not alone and also that we can build new worlds for ourselves that help us make sense of the unfathomable, and to build strategies that will help us fight the dark forces. A spoonful of sugar was Mary Poppins' prescription for pain. Mine is to read aloud to children, each and every day, from books that not only teach the lessons of managing those challenging terrains but give hope and inspiration in the darkest times. 1.) Pause for reflection. Ask open ended questions you do not know the answers to, such as: "What are you thinking about right now?" 2.) Share your own perspective, as honestly as you can. "This passage reminds me of..." "I am reacting to this part..." "What I am thinking is...."
3.) Don't interrupt the reading too, too much! Let your child get lost in the world of the story. Pause for reflection periodically, but not so much that you lose the flow of the story. 4.) Be game to reread. Some of these books are so good, your child will want to revisit them. Rereading is good for the mind and good for the soul. Do it! Here's to year in which the blessings of kindness fill your child's days. 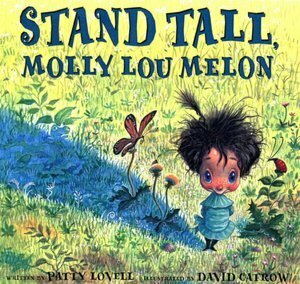 <a href="http://www.amazon.com/Stand-Tall-Molly-Lou-Melon/dp/0399234160/ref=sr_1_1?ie=UTF8&qid=1349276451&sr=8-1&keywords=Stand+Tall%2C+Molly+Lou+Melon%2C+Patty+Lovell%2C+Ages+4+and+Up">Molly Lou Melon</a> makes no secret of her unique appearance. The wonderful illustrations, by David Catrow, also reinforce Molly's quirky yet endearing looks. With the support of her grandmother, Molly exudes confidence and joy, radiating beauty even as her unusual features are emphasized. When Molly moves away from her grandmother and to a new school, she relies on that very confidence as she encounters people who bully her and the way she looks.